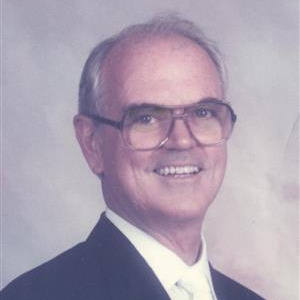 Joseph Michael May, 86, passed away April 4, 2019 surrounded by family members. He was born on September 24, 1932 in Sioux Falls, South Dakota. Although he was born in South Dakota and moved frequently throughout his youth, Joe May was a proud community member of Beeville, TX, El Paso, TX, Williamsburg, KS, and Overland Park, KS. Joe was known for his service and generosity in these communities. He served as an Army Instructor during the Korean Conflict. He was a giving community volunteer and proud veteran advocate. Joe was an Insurance Professional for 50 years in Kansas City. He is preceded in death by his parents James A. May and Frances Temple May, and his siblings Jim, John, Mary Ann, Frances, Thomas May, and his first wife Patsy May. He is survived by his loving wife Barbara May, his brother Jerome May and his eleven children Mike May, Mary Ann Parkin, David May, Karen Leimer, Cathy Cunningham, Michael May, Teresa May-Teerink, Brendan May, Brian May, Barry Smith and Brian Smith. He was blessed with 23 grandchildren and 13 great grandchildren. He was devout to his faith and devoted to the Church of the Resurrection of which he was a passionate and involved member. Inspired by a sermon message by Pastor Adam Hamilton, Joe resolved to do something different each year at Christmas time. In lieu of material gifts, he and Barb would endorse a charitable, Christian-based organization to promote and support people in need in marginalized communities around the world. Each year the May family together gave a charitable gift via Joe and Barb’s philanthropic initiative. Some organizations they supported are Wells For Life, Global Orphan Project, St. Michael’s Veterans Center and Matthew’s Ministry. Joe loved history and was an avid reader of books on all subjects, particularly United States history, the founding fathers and more. He loved the Kansas City Chiefs and his wife’s chocolate chip cookies. A Celebration of Life will be 11:00 AM Monday, April 8, 2019 at Church of the Resurrection, main sanctuary, 13720 Roe Avenue, Leawood, KS 66224, with a reception to follow. Inurnment will be 10:00 AM Tuesday, April 9, 2019 at the National Cemetery, Leavenworth, KS. In lieu of flowers the family suggests memorial contributions to the Matthew's Ministry at COR. Barb and family, my heart breaks with yours. Many prayers and lots of love for you as you walk this road of grief. Praise God for Joe's victory in Jesus! Very sorry for your family's loss. I am so sorry for Your loss. May the Good Lord comfort you in this time. Joe's passing prompts memories of how much my mother loved all her brothers. And how much I loved hearing about my uncles- among them my handsome high school athlete Uncle Joe. My thoughts are with you during this difficult time of heartache. I was saddened to hear of the sudden passing of my Uncle Joe, my godfather. I have many fond memories of family gatherings as a child and the games we used to play. Those backyard baseball games were the best ever. My Uncle Joe made them so much fun and I can honestly say he had just as much fun as we did. Of course he has that million dollar smile, a sparkle in his eye, and an infectious laugh. I can’t help but write and think of him in the present tense because for me he lives in my heart and thoughts. I know countless good things will be said about my Uncle Joe in the coming days, rightfully so!! To me, a man’s greatest legacy is his faith and his family and my Ucle Joe had the best of both!!! My thoughts and prayers go out to the entire May family and I know you have peace knowing he’s with our Heavenly Father. Barb, our love and prayers go to you and your family. Knowing Joe and working with both David & Joe at Connecticut Mutual brings many memories. When we met you Barb, Joe seemed complete and happy and we were happy for both of you. Small group from COR in FL sealed a bond never to be broken. Feel our prayers and support with this great loss but dwelling on the thought that he's in a better place and will be waiting for you and the rest of his family and friends.